For the first time in 30 years, Norwegian fishermen may fish for Bluefin tuna, the Norwegian Institute of Marine Research writes in a newsletter. This is the world’s largest and most valuable tuna. This year, Norwegian authorities allow limited fishing of 30 tons Atlantic bluefin tuna in Norwegian waters. The quota is set for the period from late June to the end of October. In January 2013, the price reached a record 1.78 million dollars at Tokyo’s Tsukiji Fish market (see video below). A bidding war over the 222-kilo tuna ended at 7.939 dollars per kilo. The winning bidder was Kiyomura Corp, which operates the “Sushizanmai” sushi restaurant chain. Marine researchers estimate that the population is still only just over 30 percent of historical level, but several signs indicate that the population is growing. Over the last years, there are registered more adult Bluefin tuna in the Norwegian Sea. The World Wide Fund for Nature, Norway, (WWF) says it does not have to be a problem that Norway now allows some tuna fishing. – Now, we finally have begun to establish quotas that follow advice given by marine researchers. These quotas are set so that the population can continue to grow, says Fredrik Myhre, Fisheries Officer at WWF to NRK. In an ideal world, WWF would like to see a full stop to all Bluefin tuna catch until the population had grown bigger than it is today, but Myhre understands why this is not done. – There are several other considerations that should be taken into account, including the situation in Europe. There is a lot of unemployment and fishery creates values and jobs. Now, we are happy that the quotas are set based on advice by marine researchers, he says. The Atlantic bluefin is a highly sought-after delicacy for sushi and sashimi in Asia—a single fish has sold for over $1.75 million! Driven by such high prices, fishermen use even more refined techniques to catch tuna. And the fish are disappearing as a result. Although tuna do provide food and livelihoods for people, they are more than just seafood. Tuna are a top predator in the marine food chain, maintaining a balance in the ocean environment. The Bluefin tuna can be over three meters long and weigh more than 500 kilos. It is widespread across the North Atlantic and the Mediterranean, and in 2014 the total quota is set to a total of 13,400 tons. 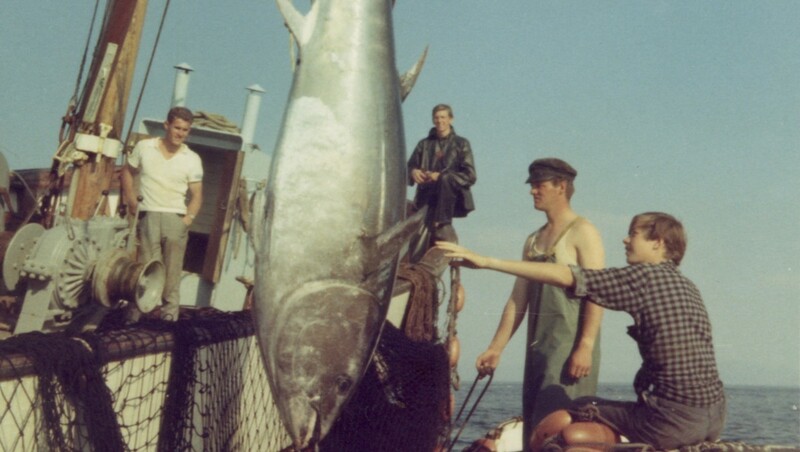 In the 1950s and 1960s, Norway had Europe’s largest Bluefin tuna fishery and it was caught along the entire Norwegian coastline.